What a way to end the month of May. As I am writing this, we have received 3.25″ of rain in the past 24 hours. 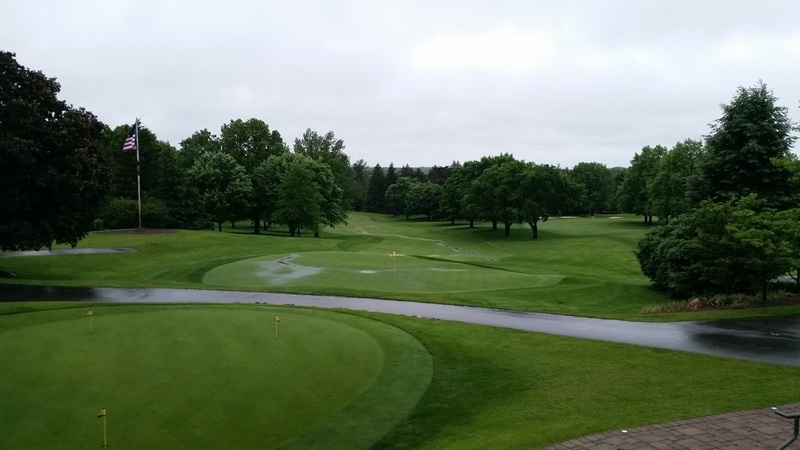 With exception of the bunkers, the course took this rain very well. 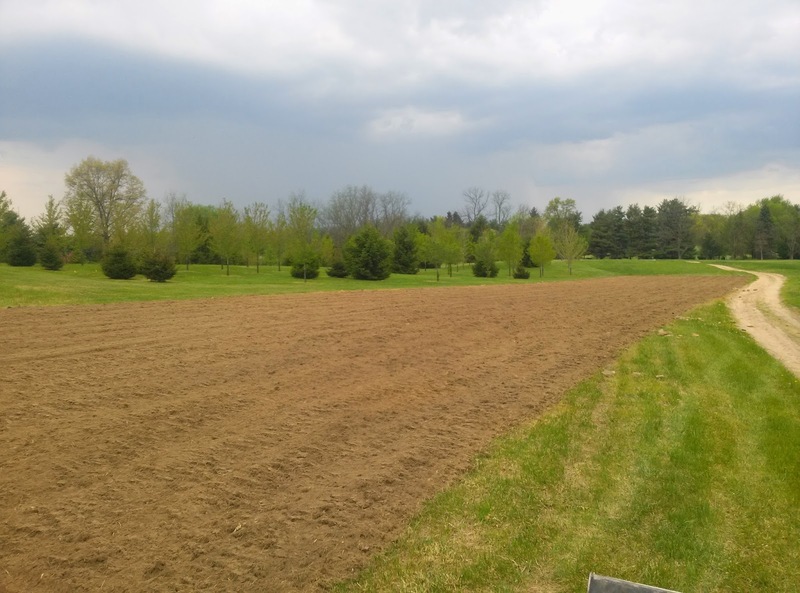 The sandy soil that Mr. Sims gave Elcona is some of the best draining in the region and I am fortunate to have it. The green, tee, and bunker surrounds I wrote about here are slowly pushing new growth and coming back from their injury. In select areas where growth is not at the rate that I was expecting, we will be aerifying small holes into the surface to break the preemergent herbicide barrier, and slit seeding to try and fill those areas better. I appreciate everyone’s patience with the recovery of these areas. The terrace project is reaching its final days. Work focused this past week on construction of the fire pit. 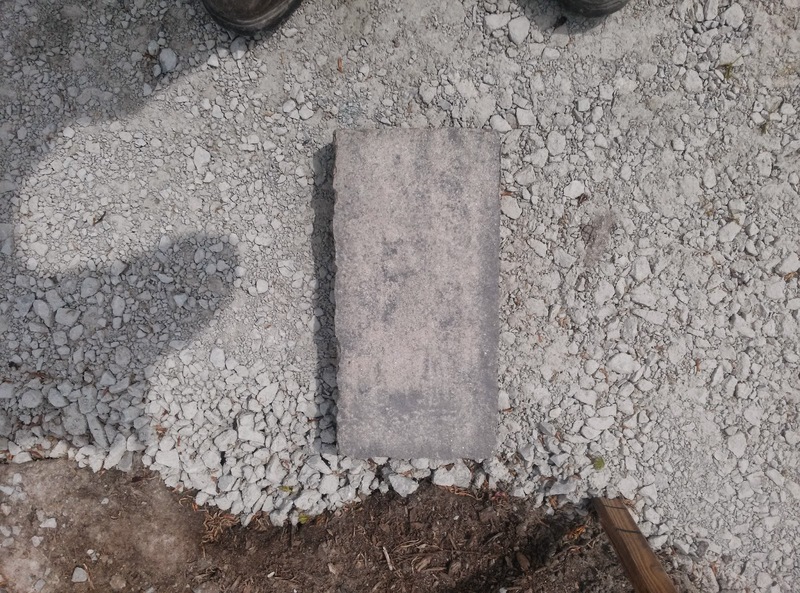 This required over 100 cuts into the stone to make the 6 foot diameter circle for the insert, as well as some custom cutting to make vents and the valves fit seamlessly into the stone. 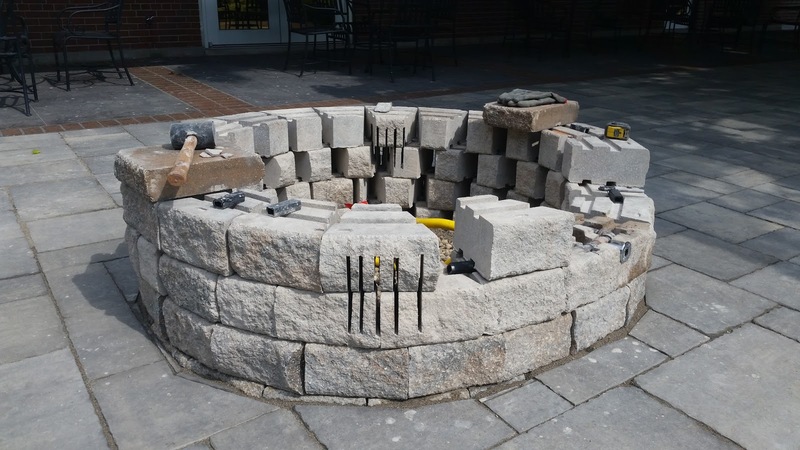 When, finished, the fire feature will be 18″ tall. The fire insert itself is a 36″ penta-style burner with a layer of lava rock topped with realistic-looking logs. Stay tuned for pictures of the final look! One of the neat sights around the property each May are the new additions to the wildlife families on course. The new litters of turkeys have started to roam the course, and the above picture was taken by our head golf professional, Tom Thome. 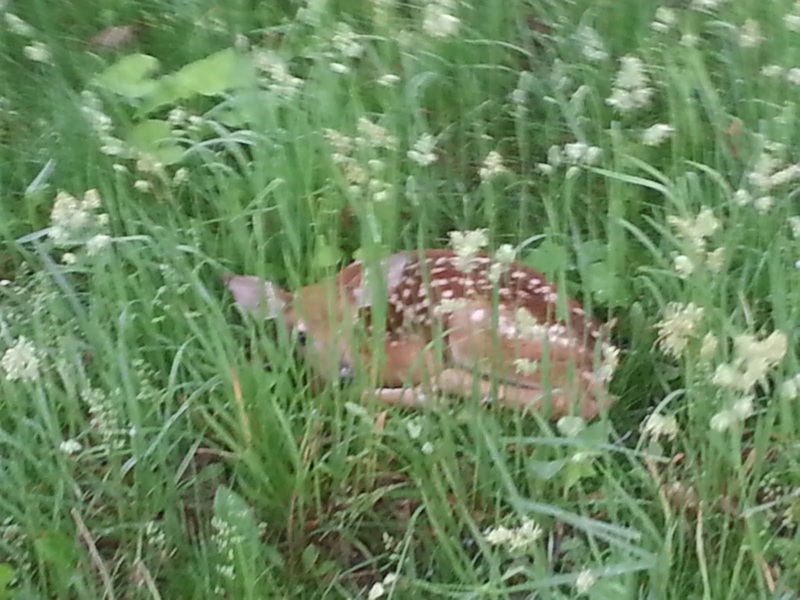 We think this fawn was born the night before out near the halfway house. This demonstrates another example of the sanctuary golf courses can be in providing safe, quality habitats for native wildlife. 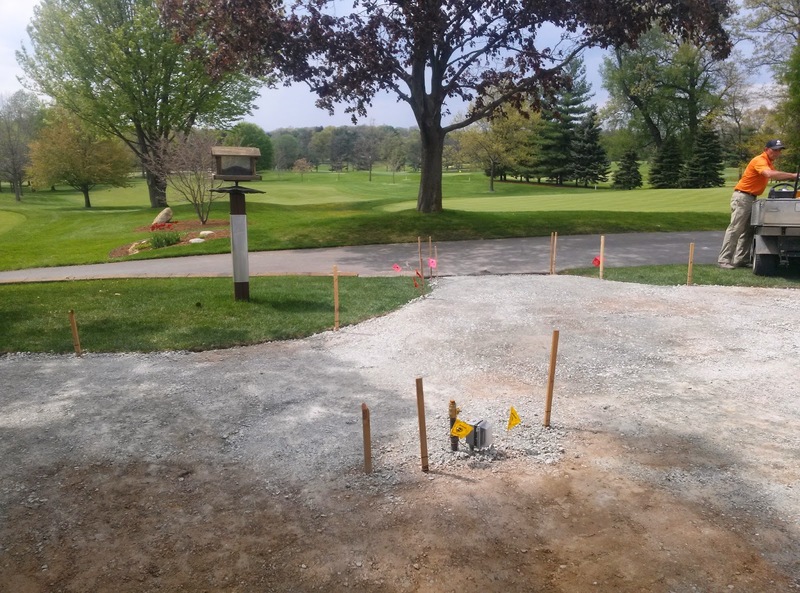 Finally, Niblock will be here on Monday to start resurfacing cart paths along 2 and 15 green, hole # 3 and 4 tee, hole #8, around 12 green, and from 14 green to 15 tee. 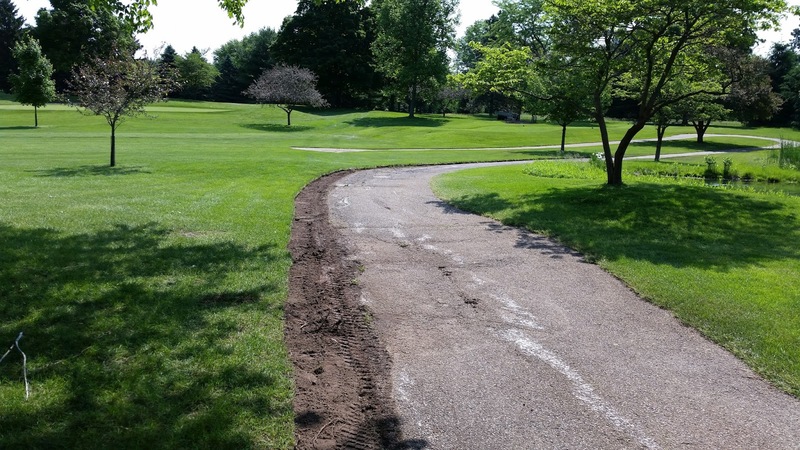 You may have noticed our staff removing sod along these paths over the last couple of days. 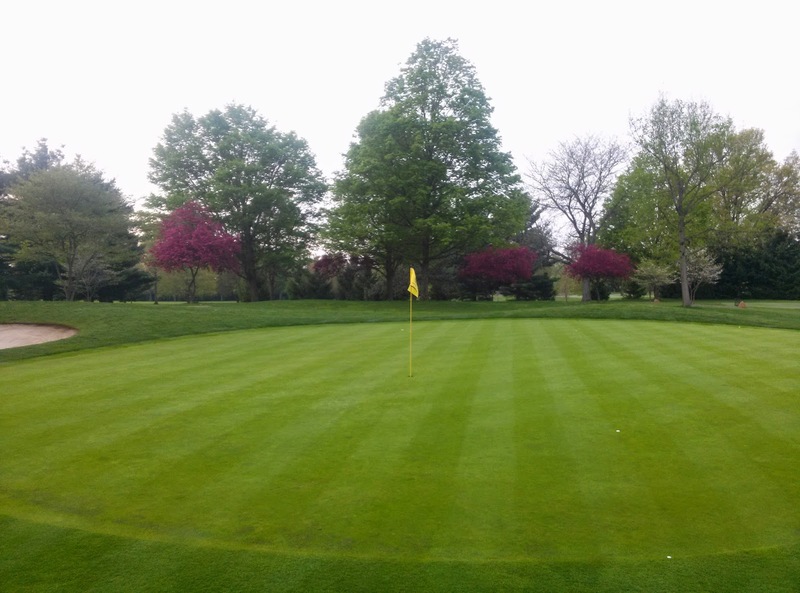 Over the years, turf growth has narrowed paths from their original 8 foot width. Niblock will be overlaying these areas with an additional 2″ of asphalt. This work is expected to leak into Tuesday and if there is a need to re-route traffic, we will communicate that to you. If you have any questions, please feel free to contact me. Have a great week and I will see you out on the golf course! 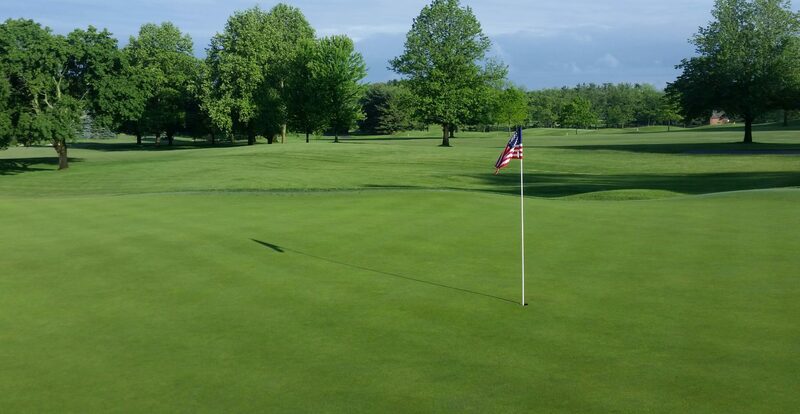 With the spectacular color provided by the Kousa dogwoods and Crabapple trees and the increased presence of Mallards, white tail deer and turkey, the golf course truly has sprung to life over the last couple of weeks. The rain and warmer than normal weather has jump started the rough, where we will begin our growth regulator applications within the next couple of days in an attempt to keep playability as consistent as possible. 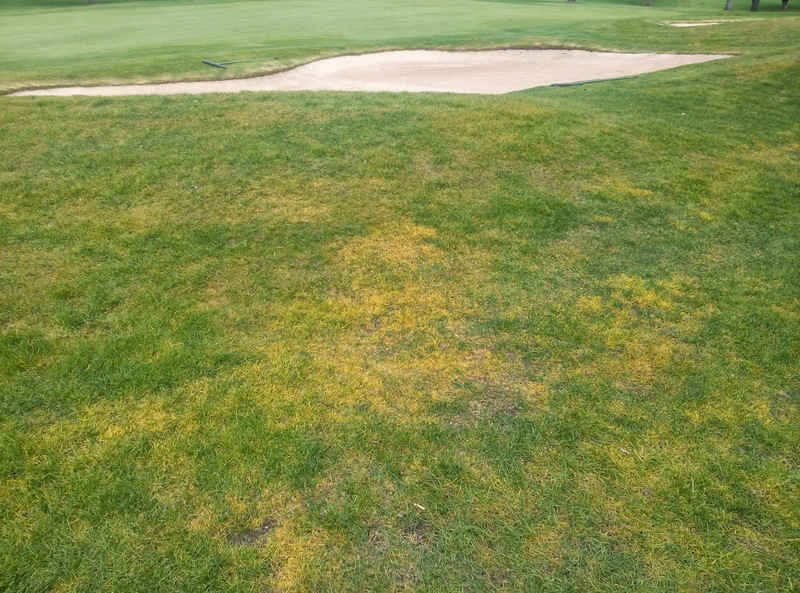 As great as Poa annua is as a putting surface, one drawback is its annual seedhead production. Poa annua is a winter annual, meaning it germinates in the fall, overwinters, and produces seeds in the spring for its next generation. 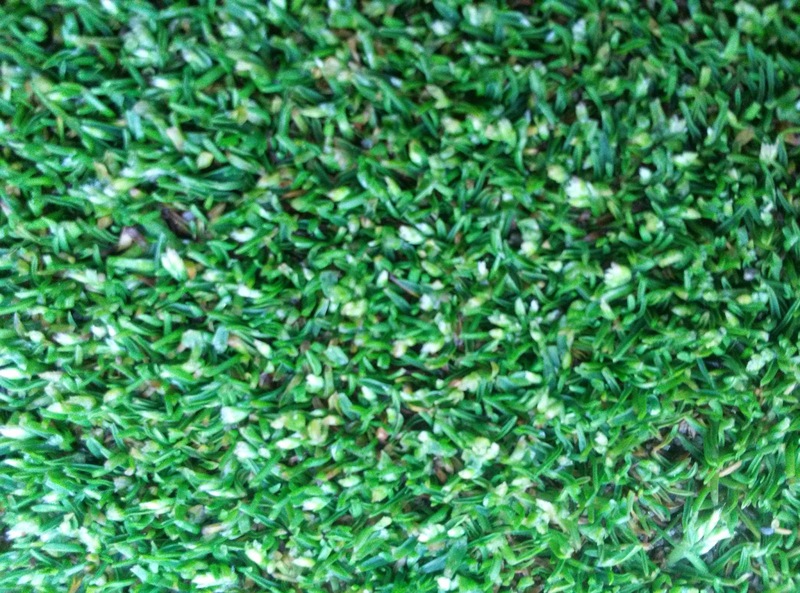 Think of Poa as a backwards annual flower you would plant in your landscape. This time of year, we apply three applications of a growth regulator to suppress and “reduce” (not eliminate) the production of seedheads. Our check plots out on the golf course have shown this year some suppression, but obviously not total. 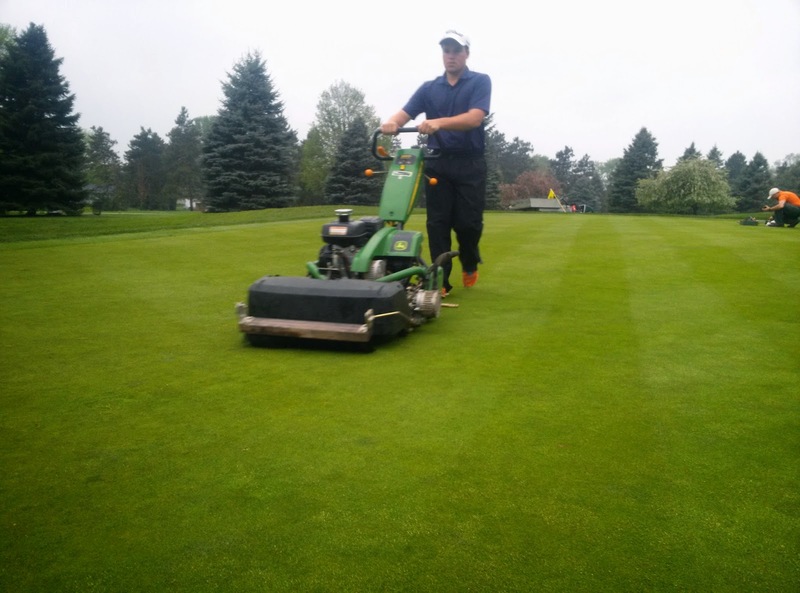 To maximize the smoothness of the putting surfaces during this production, we have lowered our height of cut down to .120″ (except 18, where we are at .135″), are brushing daily with the attachment shown above, rolling regularly, and adding additional topdressing to further smooth out the greens. These seedheads should pass by the end of the month. If you have any questions, please contact me. 18 green continues to mature. I appreciate the feedback I have received on the new surface. As a friendly reminder, the height of cut will be slightly higher for the remainder of the month, and each week we are lowering the height by .005″ until we reach .120″ (our regular height). This is so that we minimize scalping injury and allow the turf to fully mature at regular greens height. We will continue to roll the green more frequently to better match the other surfaces until then. Church Community Services came by this week to prep another new Elcona feature that I mentioned in the May Prattler, the Seed to Feed Garden. 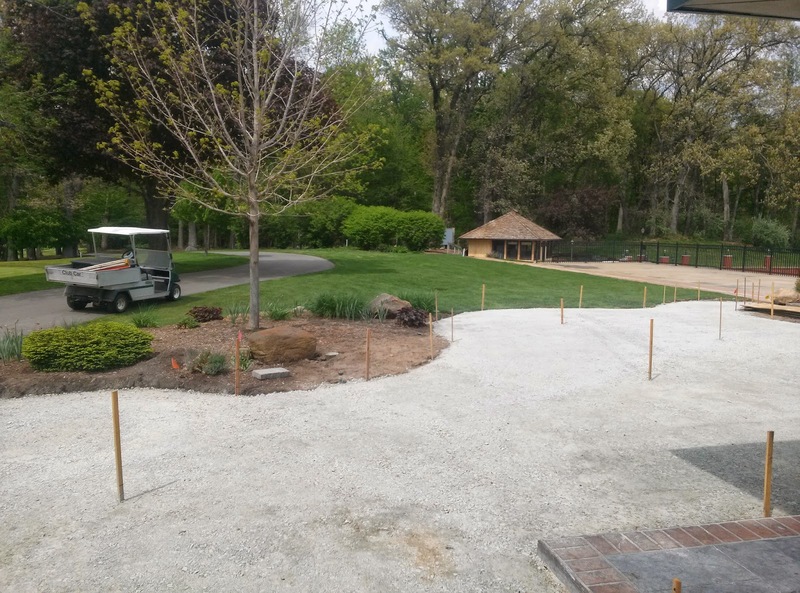 The staff and I will be running an irrigation line to this area north of the Short Game area, and planting should take place within the next couple of weeks. Finally, Phase 2 of the Terrace project is moving along nicely. 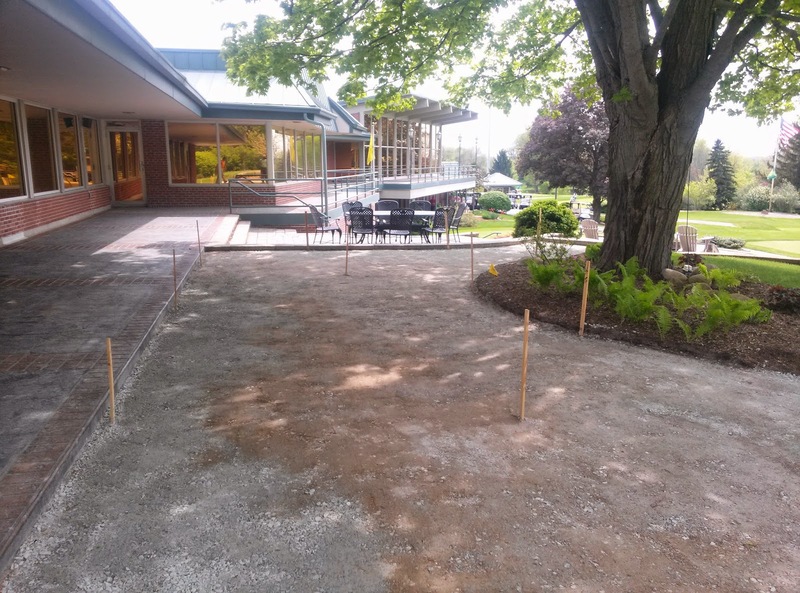 The compaction stone grade has been established, and I am happy to report we are ready to lay pavers down! 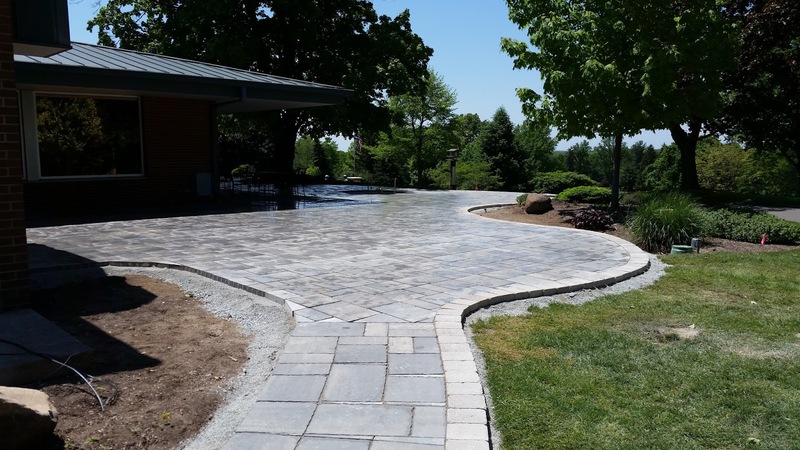 These pavers will arrive Wednesday and will be placed on a compacted 3/4″ layer of limestone chips. The firepit insert should arrive Wednesday as well. The firepit will be a 6 foot diameter circle, with a 30″ wide flame and realistic looking logs. I hope to share some pictures later this week to give you a better visual on the newest Elcona feature. Have a great week and I will see you out on the golf course! 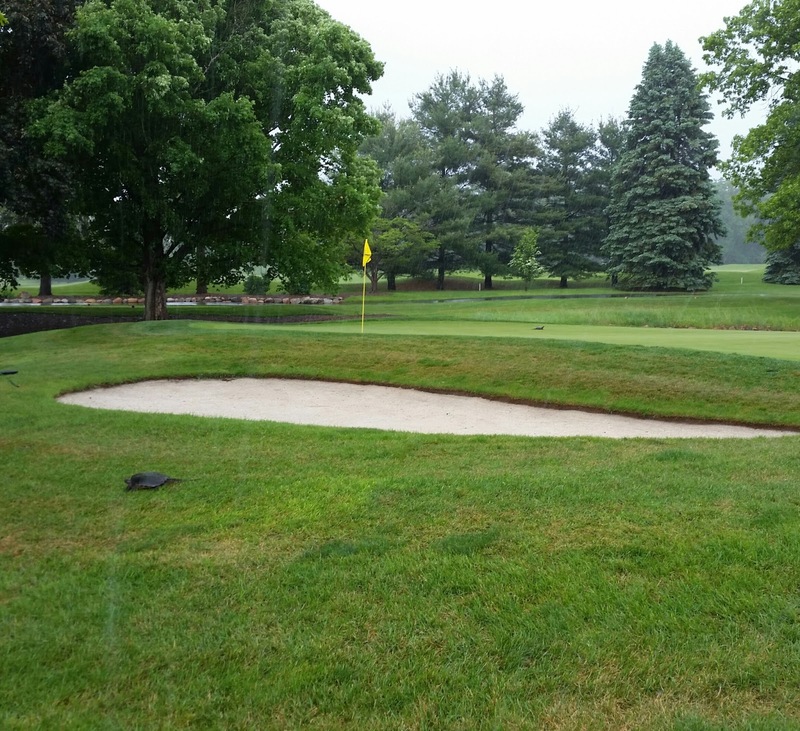 A few of you have asked me why some of the rough looks yellowish and mottled around select bunkers and greens. Each spring, we apply a pre-emergent herbicide to prevent crabgrass from germinating in those areas, along with a three way broadleaf herbicide. The holes where this yellowing is happening is where this application took place before an unexpected freeze the following night, causing tip burn on the leaves of the plant. This tip burn is superficial in nature and the plant should grow out of this injury. We have applied fertilizer to help recovery along, and the warmer weather we are experiencing now should allow this injury to heal. If you have any questions, please feel free to contact me. Thanks!